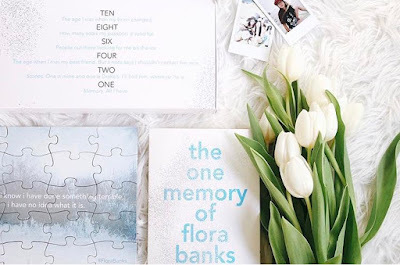 BLOG TOUR | The One Memory of Flora Banks Guest Post + GIVEAWAY! Hey everyone! Today I have a special guest joining me today on my Flora Banks tour stop. 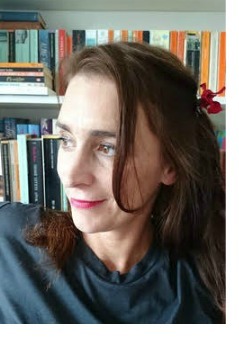 It's the one and only Emily Barr, author of The One Memory of Flora Banks. I'm sure you've all seen this book floating around the blogosphere, but if it still hasn't piqued your interest then I'm hoping this post will. In books, I am captivated with the idea of memory loss. A lot of the books I have read that include characters that lose their memories have been thrillers or mystery books. I've never seen a contemporary one. I took this tour opportunity to ask the author Emily Barr about the research that was required to write about a character with anterograde amnesia and how she was able to capture this essence in a young adult book. Here is her answer. It sounds so easy to write a book about amnesia. In fact I’d wanted to write one for ages but had held back because the ‘knock on the head/ can’t remember anything’ trope felt so clichéd and I didn’t know anyone in real life who’d had anything remotely like that happen to them. It felt as if fiction-amnesia was a whole different thing from real-amnesia. I did, however, have experience of older people with dementia, losing their recent memories while remembering things from long ago. I remember, as a young child, visiting my grandfather who had Parkinson’s with the associated memory loss. It was incredibly distressing. I also knew people with younger family members who had experienced different kinds of memory loss and I could see that brains were complex, incredible things. 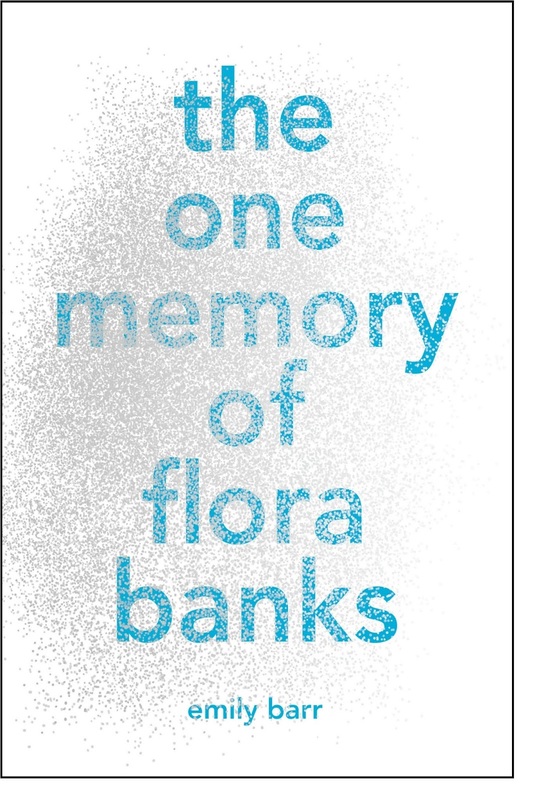 When I started writing The One Memory of Flora Banks I knew I had to do everything I could to get it right. I read books by Oliver Sacks (who is an absolute hero of mine: The Man Who Mistook his Wife for a Hat is a brilliant starting point for anyone writing about anything brain-related). I read anything I could find about anterograde amnesia. I got in touch with an old university friend who works in this field, and he sent me all kinds of reading material, and looked over my plans for Flora to tell me what was plausible and what wasn’t. I went through the book again and again, doing everything I could to make it logical. Because Flora can remember things from before she was ten she has the basics about how things work: I have a ten year old of my own and she certainly know about charging phones and laptops and those kinds of daily-life things. However, I kept catching myself letting Flora remember things she shouldn’t have remembered. In fact, I’ve never written so many drafts of anything. I am left with the overwhelming feeling that the human brain is a remarkable thing, that memory is not a static objective thing, but a weaving together of impressions of sights and smells and sounds and tastes, and the way things make us feel. We can forget things, and we can remember them, and we can remember them wrong. A tiny change in those mechanisms can make an enormous difference to a person’s life, and that is, in the end, going to happen to a lot of us. 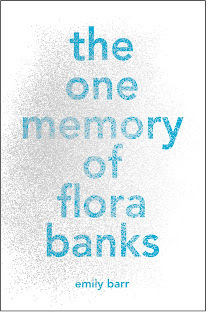 Enter for a chance to win one (1) of five (5) copies of The One Memory of Flora Banks by Emily Barr (ARV: $17.99 each). NO PURCHASE NECESSARY. Enter between 12:00 AM Eastern Time on May 1, 2017 and 12:00 AM on May 22, 2017. Open to residents of the fifty United States and the District of Columbia who are 13 and older. Winners will be selected at random on or about May 24, 2017. Odds of winning depend on number of eligible entries received. Void where prohibited or restricted by law. Of course, best of luck! I loved the setting so much and how it changed throughout the story! I enjoyed reading about your research and personal history with memory loss. I remember as a child, my grandmother not knowing who I was near the end of her life. I was confused and didn't really understand. And now I see it happening with my father-in-law. I am really looking forward to reading this book. I really hope that this book resonates well with people as well as provide a place where these types of conditions can be discussed. Sounds like an amazing read! Thanks for the giveaway! Thanks so much for the chance! Excited to read it! LOL, I keep commenting because the Rafflecopter asks what blog you have commented on each day! Thanks again for the chance! Haha of course! Best of luck! Thanks so much for the chance! Entering again for the RC! Entering for the Rafflecopter Option. Thanks for the chance. Daily entry!